One of my author dreams has come true! 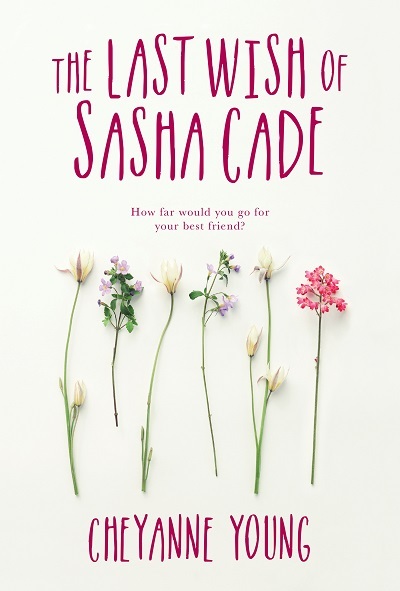 The German edition of Last Wish of Sasha Cade will be published by HarperCollins Germany in 2019! I am absolutely in love with the cover. The sparkles! The flowers! The beautiful colors! The title translates to: Every day a note from you. Isn't that beautiful? Check … Continue reading The Last Wish of Sasha Cade is going to Germany! Today is exactly one month before the release of my book baby, The Last Wish of Sasha Cade! It's crazy to think that it's almost out in the world. I originally wrote the book in June of 2016, got my agent in July of 2016, got my book deal around January 2017 and announced it … Continue reading One Month Left!